So I’ve had the chance in the last week to get pretty far in “Pride and Prejudice” and I have to share that I think that these people have nothing absolutely nothing better to do with their time. I know it’s a different time and things were different, but I couldn’t help but want to shake Elizabeth Bennet about her reasons for being angry at Mr. Darcy. Why is it any of her business how he has treated people she doesn’t know, while she has valid reason to detest him for his intervening with her sister’s relationship, I just wanted to tell her so many times, mind your own business and worry about yourself? I found that all the characters in this book are so consumed with other people’s lives and what so-so may think of them. Who cares? Really, who cares? How is it anyone’s business to mettle in other people’s lives for? 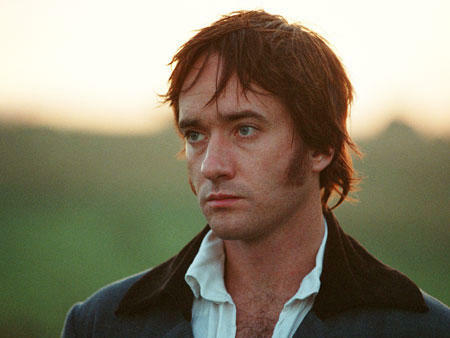 I don’t have a read on Mr. Darcy, I am not quite sure what I feel about him yet, I can definitely however, see why there are so many books out there now about Mr. Darcy and his family. I don’t feel like Jane Austen thus far has given enough character description other than to say he is arrogent among his other characteristics. Maybe I haven’t gotten far enough yet to learn more about him.